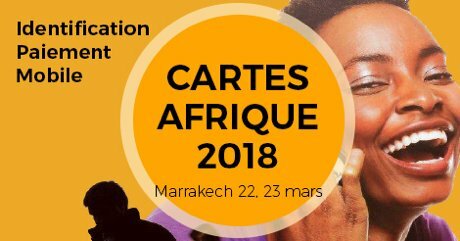 The 13th edition of Cartes Afrique will take place in Marrakech at the Palmeraie Golf Palace Exhibition Center on March 22 and 23, 2018. This edition will highlight the latest technological innovations, services, solutions, and standards applied in the payment, identification, and mobile industries, a fast-growing market. Organized by i-conférences, Cartes Afrique is the first platform of debates dedicated to the promotion of South-South partnership in Francophone Africa, and each year gathers a range of speakers composed of international forward-thinking experts in the field of payment together with their African counterparts.